WARSAW, Poland (CNS) -- A prominent Polish archbishop accused his country's government of falsifying its data on refugees, while also fueling a crisis with Germany over new demands for war reparations. Retired Archbishop Henryk Muszynski of Gniezno said the Polish government "still relentlessly insists it won't accept a single one." He said the government often states that it would not take refugees from Africa because it helped Ukrainians and Middle East refugees. He spoke amid controversy over the Polish government's refusal to offer shelter to refugees and asylum-seekers from Syria, Iraq and other war-torn countries. In an interview published March 20 on the website of Catholic Wiez quarterly, he said he "read the hard data with horror." 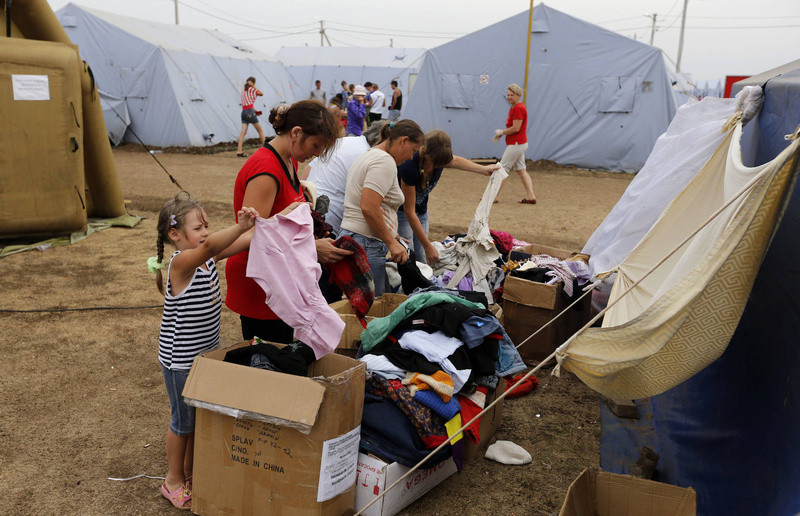 Archbishop Muszynski said government claims that more than a million Ukrainian war refugees had been accepted by Poland were false, because virtually all had come as temporary workers. In reality, he said, Poland had granted refugee or protected status to just 140 Ukrainians during 2017, according to its Office for Foreigners. "Is this our Christian humanitarianism, our sense of European unity, our respect for international accords?" Archbishop Muszynski said. "This has been accompanied by a harsh campaign, using blatant fear-mongering, which doesn't respect the basic differences between war-threatened refugees, economic migrants and terrorists. ... What's even worse, it ignores the dramatic, frequently repeated appeals by Pope Francis." The European Union has threatened to withdraw structural development funds from Poland for its refusal to accept a share of refugees fleeing conflict and hunger in the Middle East, Africa and Asia since 2015. The Syrian people are still suffering. Here’s how Trump could help. Speaking at a Vienna conference March 20, the chairman of the Polish bishops' migration commission, Auxiliary Bishop Krzysztof Zadarko of Koszalin-Kolobrzeg, said Poland's charity agency, Caritas, had sent aid to 15,000 needy families in Syria and Lebanon and had backed the admission of refugees "irrespective of their religion." However, he added the government had rejected a proposal for "humanitarian corridors" and cautioned that Poles had "virtually no experience of living with Muslims" and viewed Islam through "media images of fundamentalism and extremism." Archbishop Muszynski said the crisis in Poland's international position was "especially painful" because of its "obvious contrast with expectations." "I fear Poland is condemning itself, by its own choice, to total isolation, while the foundation of social and international solidarity is now largely impaired," the archbishop said. "As a nation, we obviously have a full right to defend everything expressing our religious, national and historic identity. But this must be done with mutual respect, not at the cost of demolishing unity, brotherhood and the elementary trust of our partners in dialogue."